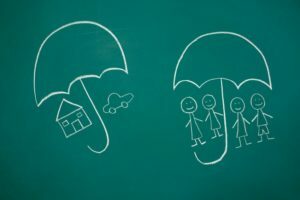 Top 3 Reasons to Invest in Life Insurance - Joseph W. McCartin Insurance, Inc. Final expenses due to passing: According to the Funeral Directors Association, the average funeral is priced around $7,000. Life insurance covers burial expenses so that families aren’t suffering both emotionally and financially. Consistent income replacement: Whether you are the primary or secondary source of income, your coverage replaces that income, which is essential to most families. This enables families to maintain their current lifestyle in an unexpected circumstance. Pay off debts: Life insurance provides benefits to pay off debts, whether it be your mortgage, credit card expenses, loans, college education funds or other expenses. This helps take the pressure off of loved ones so that lingering financial responsibilities are covered.